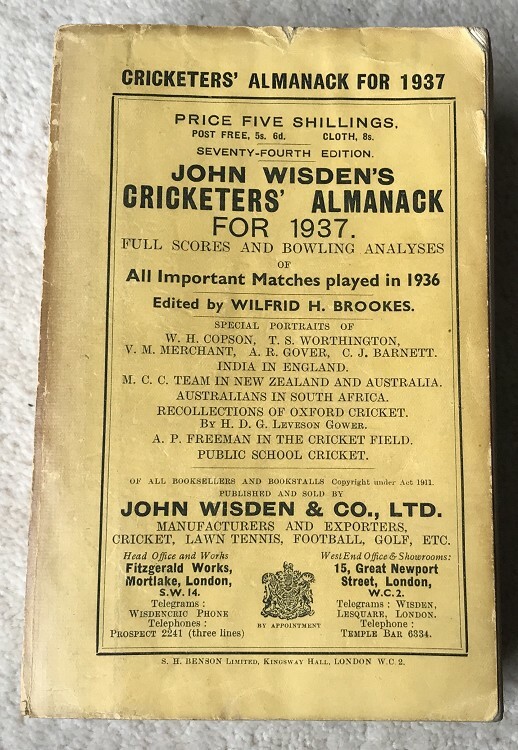 This lot is an 1937 Original Paperback Wisden. The covers are nice and square, a touch dark with some roughness to the edges and rounded corners. Internally the book is very clean. Spot mark to the page block. Some bowing to the spine but tightly bound. Excellent photoplate. Some minor dog ears to the odd page at the front (small). The spine paper is 100% original and nearly complete, some wear to the edges of the spine cloth corners, and a little dark. Postage: £8 which covers special delivery fully insured & Jiffy Bag.